Kendall is 2 1/2. 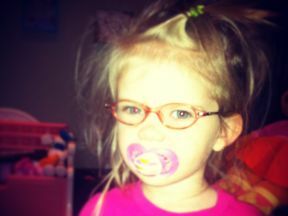 She wears glasses for Optic Nerve Hypoplasia. Her glasses are Dora from Walmart.